Paradise Lost (1674) is a consummate example of scientific literature. In it, John Milton effectively mimics the debates that motivated the New Science of his era, and the result is a poem that is ‘scientific’ not just because its content sometimes concerns nature, but also because its rhetoric imitates the emerging scientific method. And much of that, I argue, is due to Galileo, the man whom Milton described as ‘the Tuscan artist with optic glass’. For readers who half-remember Milton from an undergraduate survey course, this might be a surprising contention. While the poet still generates reams of journal articles, dissertations and academic books, when the general public thinks of him, it’s often as a dour Puritan poet writing dour Puritan poetry (which assumes that ‘Puritan’ is even an appropriate designation for him). But in fact his greatest work depicts, among other things, how scientific debate operates. Far from seeing themselves in opposition to natural philosophy, many Puritans embraced empirical science as a practical application of their religious understanding, and while the simplistic reductionism that views the scientific revolution as a direct product of the Reformation has been made more nuanced by subsequent historiography, it remains true that many Puritans of Milton’s era celebrated the burgeoning scientific method as an extension of their own theology. Consider the scientist and philosopher Francis Bacon, writing a half-century before Paradise Lost. While not a Puritan per se, he was a steadfast Protestant who appropriated the language of the Reformation in his defence of the emerging science. Or examine the career of the American theologian Jonathan Edwards, writing a century after Milton, who is mostly remembered as the author of the hellfire sermon ‘Sinners in the Hands of an Angry God’ (1741). The historian George Marsden writes in Jonathan Edwards: A Life (2003) that the preacher was ‘profoundly influenced by Isaac Newton’ and that like ‘many men of his time, Edwards was determined to know everything and how it all fit together in God’s universe’. If Puritanism has an innate attraction towards a certain variety of scientific positivism, and if Milton is the most celebrated of Puritan poets, it would stand to reason that those scientific enthusiasms would be present in Paradise Lost. The poem, a 10,000-line epic about the Fall of Man and the ‘ways of God’, is the earliest and greatest example of a neglected literary genre – the scientific epic. What are the poetics of science, and what is a scientific epic? This is a poem that not only takes as its subject scientific topics but that also replicates a spirit of rational skepticism. There are surprisingly few texts that do this: that take the drama of scientific discovery, and of the worldview that makes that progress possible, as their subject. New powers acquire and larger limbs assume. For a poet who arguably wrote within the mode of scientific epic, Walt Whitman’s declaration ‘Hurrah for positive science!’ should be taken literally, as I have argued elsewhere. Ancient poems, such as Ovid’s Metamorphoses and Lucretius’ atomistic De Rerum Natura, concern themselves with physical transformations and the working of the world, but were written in a cultural context without real science. On the other hand, Paradise Lost was first printed seven years after the founding of the Royal Society and 20 years before the publication of Newton’s Principia, in the midst of what the philosopher of science Thomas Kuhn in 1962 called a ‘paradigm shift’, and what we know as the first scientific revolution. Evidence of that revolution permeates the poem, an influence that is attributable to Galileo. Milton’s mastery was not limited to ‘things unattempted yet in Prose or Rhime’, but debates about natural philosophy also concerned him. Scholars of the 17th century disagreed whether it was the geocentric Ptolemaic model of the solar system or the heliocentric Copernican model that was accurate. And though we have long since settled the question in favour of the later, this was by no means a foregone conclusion when Milton was writing. The tension between those two models of the cosmos runs as one of the currents underneath Paradise Lost. Out of historical context, it would be easy to read this as a condemnation of natural philosophy, but what is being parodied is the increasingly baroque complexities of Ptolemaic cosmology. The defenders of the status quo had to long contend with empirical discrepancies that made Ptolemy’s theories increasingly difficult to defend. Things such as the retrograde motion of Mars, whereby that planet seemed to move backwards and forwards across the sky over the course of the year, could be explained only if a complex system of orbital ‘epicycles’ are hypothesised. Eventually, so as ‘to save appearances’, the Ptolemaic model becomes a cumbersome mess, one that, to paraphrase Milton, had been built, unbuilt and contrived. Copernicanism, on the other hand, more parsimoniously explained such phenomena. But why the contradiction in Paradise Lost, whose physics seem so resolutely conservative in one sense while mocking the very underpinning of that physics? There is a reason for this astronomical equivocation. Milton wished to craft something that was eternal, and could survive changing understanding. Milton’s concern was to glorify God as one for whom ‘The swiftness of those Circles attribute, / Though numberless, to his Omnipotence’. Paradise Lost might be a poem that uses those ‘circles’ as an example, but the poem isn’t about them, it’s about God’s grandeur. To venture an opinion as to whether Copernicus or Ptolemy was accurate was to write a poem that could potentially be wrong in the future, and Milton couldn’t risk that. But in the process, he was able to depict how scientific debate operates in contrast to the absolute stricture of religious orthodoxy. In admitting that scientific knowledge is capable of change, Milton provides an accurate portrayal of the humble, dutiful method where one must always be aware of potential amendment to that knowledge. 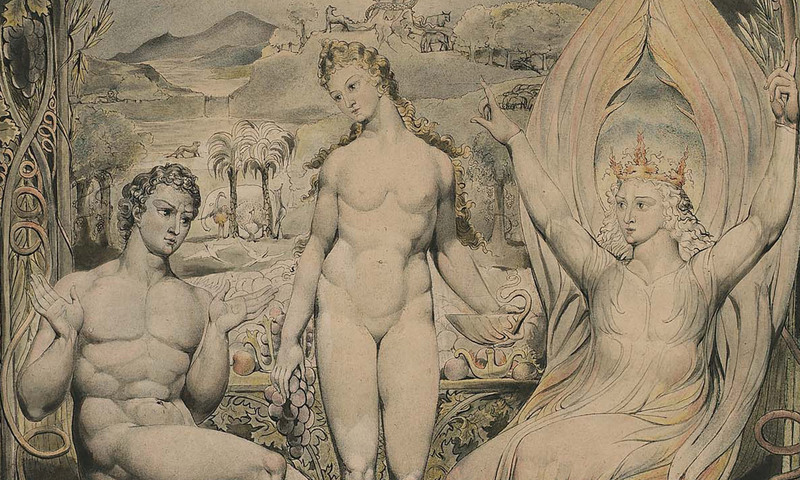 Paradise Lost revels in these ambiguities, and provides a representation of it.